It is the difference in arrival times of the capture edge at two adjacent Flip-flop pairs. If capture clock comes late than launch clock then it is called positive skew. If capture clock comes early than launch clock it is called –ve skew. It is the difference in arrival of clock at two consecutive pins of a sequential element. 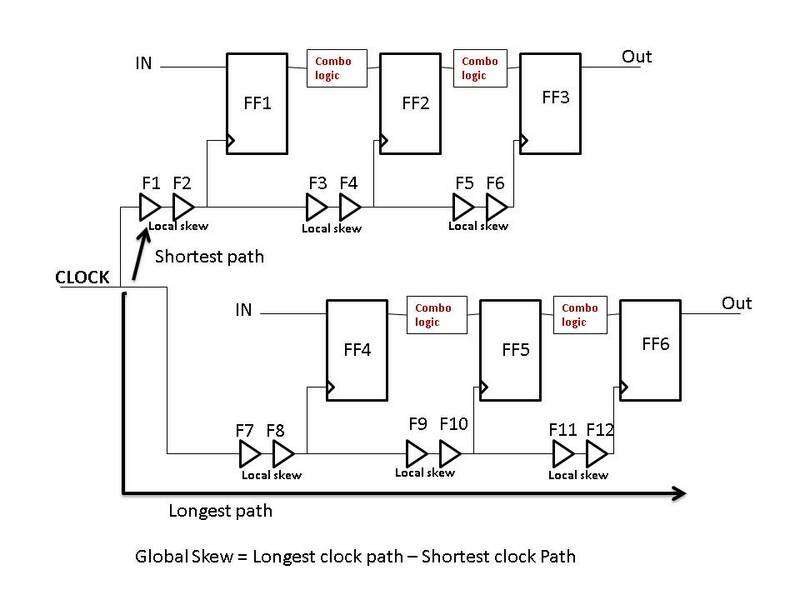 It is Defined as the difference between max insertion delay and the min insertion delay of any flops. It is defined as the difference between max insertion delay and the min insertion delay of boundary flops. 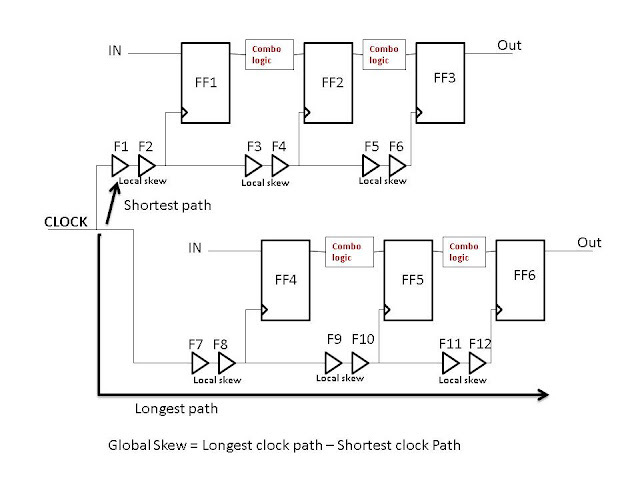 If clock is skewed intentionally to resolve violations, it is called useful skew.